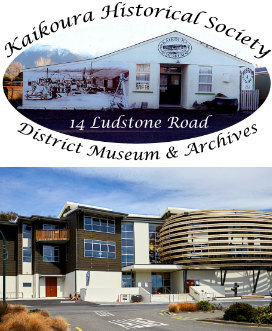 Kaikoura Museum is governed by the Kaikoura Historical Society Inc committee. 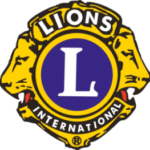 We are an Incorporated Society and registered with the Charities Commission. Historical Society was formed in 1968 and the first Museum was established in 1971 and was housed at 14 Ludstone Rd. The Historical Society had long felt that the collection had out grown its space and could be better served by moving to a more central location with more room to display the collection and Archives and run events and programmes. With the help of a $2m grant from the Lotteries Heritage Fund, many years of planning and other fundraising the new Museum was opened on 23 November 2016. We managed to open just 5 days after our scheduled official opening which was delayed due to the 14 November 7.8 Kaikoura Earthquake. Kaikoura Museum was recognised at the 2018 Museums Aotearoa Awards as winner of the Exhibition Excellence – Science and Technology category for New Normal – The Kaikoura Earthquake exhibition. Museums Aotearoa said the judges were unanimous in confirming New Normal as the winner. They were impressed with what was achieved on a very small budget, the variety and types of engagement so that it could reach a range of audiences and combining science with community stories. The new Museum project was a collaboration between the Kaikoura Historical Society and Architecture practice Rick Pearson and Associates. They have created a wonderful space which was recognised as the winner of the Interior Architecture award and Resene Colour award at the 2017 Nelson/Marlborough Regional Architecture awards. The Museum was also runner up in the 2017 Museums Aotearoa Museum Project Excellence Award. Kaikoura Museum is enormously grateful for the financial support it has received from regional and national charitable trusts and foundations. This support has enabled us to set up our new Museum and to develop programmes, events and exhibitions as well as help get us through some tough times following the November 2016 earthquake.